HomeBusiness SolutionsHow Can Blog Help Your Business Grow? How Can Blog Help Your Business Grow? “Influencer marketing” is a term which is used for movie and sports stars who endorses various products and services in the market. Big enterprises earmark their significant portion of marketing budget in order to engage these offline celebrities for their marketing strategy. But, with the penetration of internet everywhere and social media becoming more ubiquitous influencer marketing is seeing the new stars today and these are the bloggers, video-bloggers and micro-bloggers. These bloggers have become the source of inspiration for hundreds of thousands and are seen as important, authentic and trustworthy people. In a recent survey it was revealed that word-of-mouth inspired marketing can generate twice as much sale as compared to the paid advertising. Another key aspect which goes in favor of these bloggers is the big connect that they have with the new social and mobile first consumer. Blogging is very cost effective in contrast to engaging movie and sports star for the purpose of influencer marketing. They don’t charge hefty amounts to the companies and have wider reach to the audience bith in and across the border. Blogging is like describing one’s own experience and since it is conversational style of writing it is more authentic and has some personal touch of the blogger which helps in connecting with more people in comparison to the paid advertisement. Since a blogger itself is a common man and not any star, talking about a product from his perspective creates an objective based impression which is a lot better than saying some extravagant dialogues on screen. This also increases the credibility of the brand. Every blogger has its own sense and style of writing and has a niche set of followers. Hence, choosing a right blogger with the right followers will help the brand to hit bull’s eye in terms of audience. It is very common for every blogger to integrate images and links to the product they are writing for and this helps in driving more traffic to brands own website resulting in higher rank in search engine. With all these advantages one key challenge which brand faces is to connect with the right blogger. 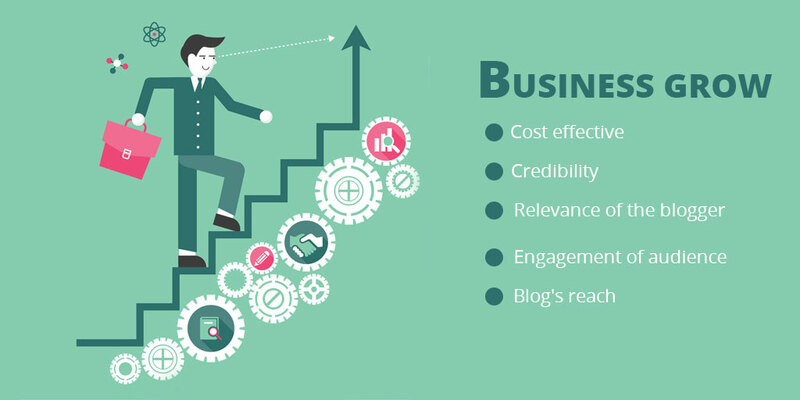 Below are some points which the brand must consider before connecting their brand with a specific blogger. Marketers must check what the blogger writes about and if followers of the blogger fall under the category of target audience. Quality and tone of the blogger must be checked before associating him with the brand. A good blogger is one who knows how to engage the audience and one way to check this is to see, if the blogs written by the blogger are attracting any comments from the audience. Apart from this social media’s connection with the blog can also be a sound parameter to measure the audience engagement. In order to gain the popularity reach of the blog is very essential. One can very simple ask for the monthly analytics of the blog in order to determine its reach in the world. Higher the number, better the reach. Influencer marketing powered by blogging is a very powerful and fastest growing channel in order to reach and acquire the target audience and is being used by many companies to turbo-charge their sales and reach among the customers.